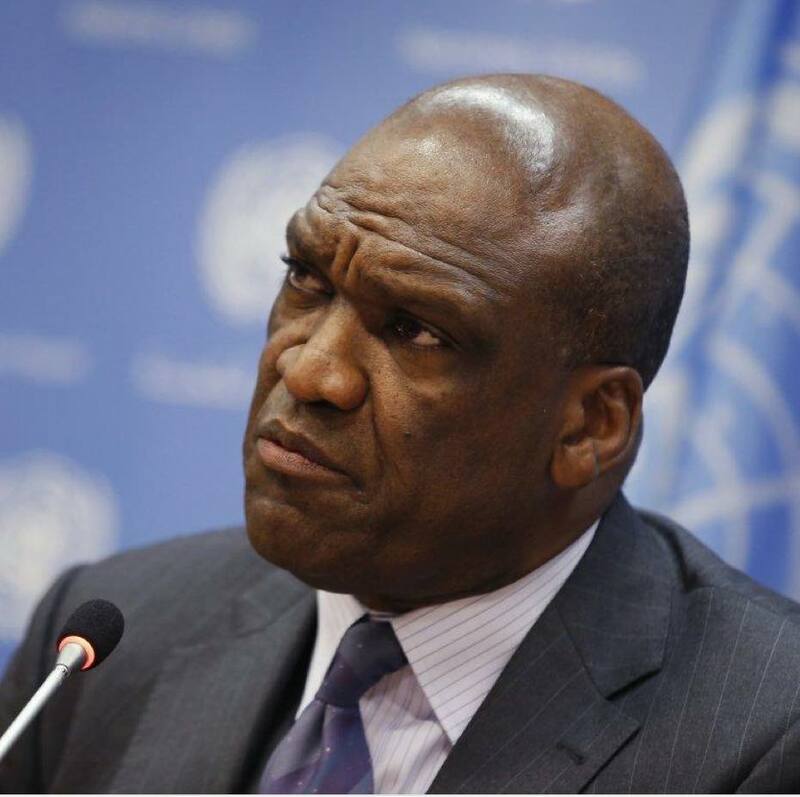 John Ashe, a diplomat from Antigua and Barbuda who served as president of the United Nations General Assembly from September 2013 to September 2014, died, June 22, while working out at his home in Dobbs Ferry, N.Y. He was 61. It’s kind of an under-reported story considering his international prominence and his obvious concern for physical fitness. Well, officials say he was working out. What other possible explanation could there be, though, for having one’s larynx crushed by a barbell, which is how he died? Ashe had a recent career setback when he was charged with crimes related to taking bribes from Chinese businessman Ng Lap Seng, who has long been active in American politics especially in Arkansas. Ashe was scheduled to meet with prosecutors regarding his upcoming trial. Think he might have been willing to testify about this or that to avoid prison? Those damned barbells are dangerous.